Editor on behalf of Heyne: Wolfgang Jeschke (mascerading under his pseudonym E. Senftbauer). 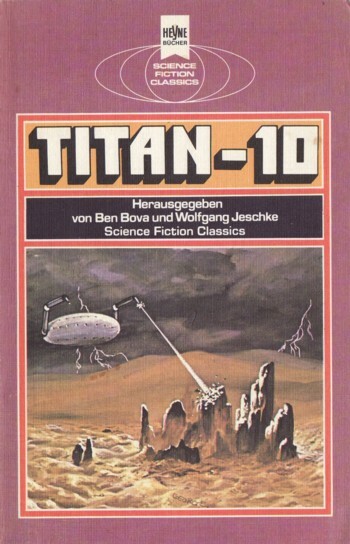 It's 'Titan-10' on the cover, but 'Titan 10' on spine and title page. Cover artist credited on copyright page; also signature 'GEORGE' on cover. Month deducted from publishing schedule of Heyne in 1979 (five books per month).